Sunday Morning Banana Pancakes: vegan 3 bean chili with guacamole ~ a special guest post! 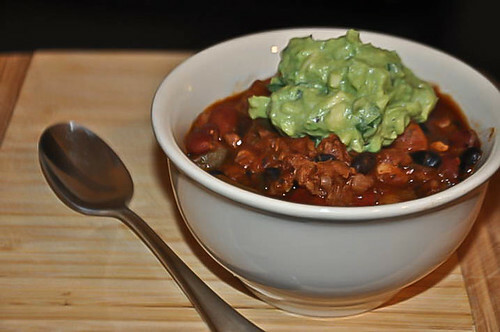 vegan 3 bean chili with guacamole ~ a special guest post! today is a very special day - you are about to meet the most amazing person. my little sister, sarah is one of the funniest, compassionate and inspiring people out there. she makes everyone around her want ot be a better person, including me. this year she has been through an incredible personal journey - she actually created a blog to share her story with others that may be looking for inspiration, support and a good laugh too. i have asked her over to sunday morning banana pancakes to share a part of her story and one of her original recipes. i would loveif you headed over to My Big Fat Blog and see for yourself what an amazing & beautiful sister i am lucky to have. In November 2010, after watching a few documentaries about the food industry and a hands on experience with cooking a turkey for Thanksgiving, I decided to become vegetarian. My sister had been encouraging me to take the leap for a while before that, but I think I just had to come to terms with it myself. Becoming a vegetarian was a task in itself, there were many learning experiences for the first few months, thankfully I had my sis just a phone call away for expert advice! 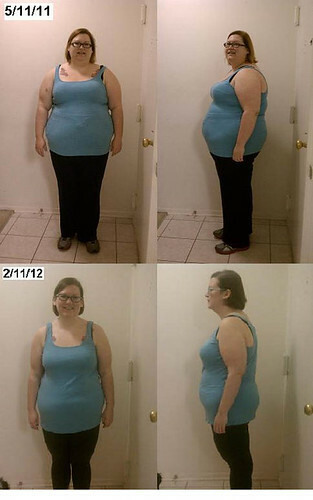 Then, in May 2011 I underwent Weight Loss Surgery. 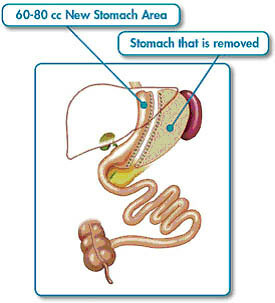 I had a new procedure called Vertical Sleeve Gastrectomy. My stomach is now 80% less than what it used to be. I also have a little mesh band around the top, which slows the food entering my stomach. I met with a Nutritionist a few months prior to the surgery and after to ensure I was getting in enough nutrients. Now that my stomach is so small, it’s important to make sure I am getting in enough protein. Most people that undergo this procedure are carnivores, and getting protein is a little less thought provoking. 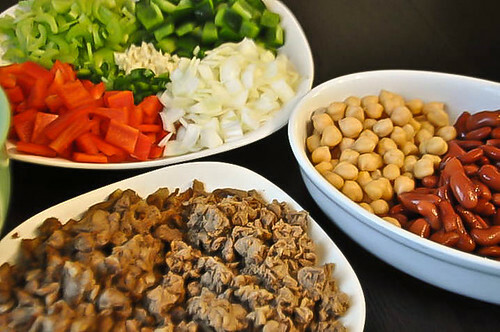 Thankfully, my nutritionist was very familiar with the vegetarian lifestyle (she used to be one herself) so, she was able to give me a lot of helpful tips for eating with my new stomach. In less than a year I have lost over 100lbs, and continue to drop. This has been such a great learning experience for me. I wouldn’t change the decision to do this for the world. I recently heard on the radio an ad for DC’s Chili Cook-off, featuring lots of Chili (duh) and so many fantastic bands I want to see! Anyway, it put me in the mood to make some yummy Vegetarian, and very Weight Loss Surgery friendly chili! Ever since becoming a vegetarian I have been on the search for a good chili. I had some when I was home visiting New Hampshire for Christmas once, but couldn’t remember for the life of me what it was called. Time and time again I tried new brands, and failed. They all seemed to be lacking the heartiness I always expect from chili. So, I decided to create my own. After researching online I found a recipe that sounded like it would appease me. I made a few adjustments to fit my wants/ needs, and voila! I love this recipe because it’s hearty, satisfying and jammed packed with protein! In medium skillet, heat with 1 tbs olive oil over medium heat- cook sausage veggie crumbles- set aside to cool. In large soup pot, heat remaining oil over medium heat, stir in onion, let cook until translucent. Add in celery, green and red peppers, jalapeños, chiles and garlic. Add Italian seasoning, salt, cumin, bay leaves and ground black pepper. Stir and let cook for about 5 minutes, or until veggies begin to soften. Add Frozen Veggie Crumbles and sausage crumbles, set heat to low and let simmer for 5 minutes. Add in crushed tomatoes, stir in chili powder. Add black, kidney and garbanzo beans. Bring to a boil, turn down heat and let simmer for about 1 ½ hours, stirring occasionally. 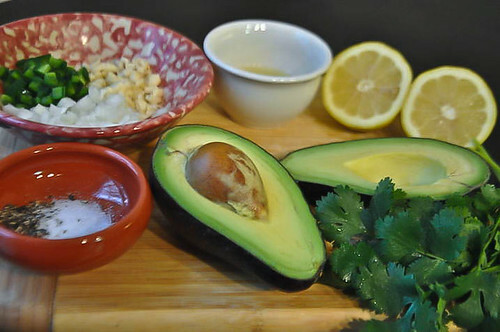 While the Chili is cooking you can make the Guacamole! Finely chop onions, garlic and jalapeños. Cut avocados in half and pit. Combine avocados, garlic, onions and jalapeños in a medium bowl and mash/ mix together. Add lemon and lime juice to taste as well as chopped cilantro, salt and pepper, stir well and enjoy! what an amazing transformation! and the chili looks delicious! 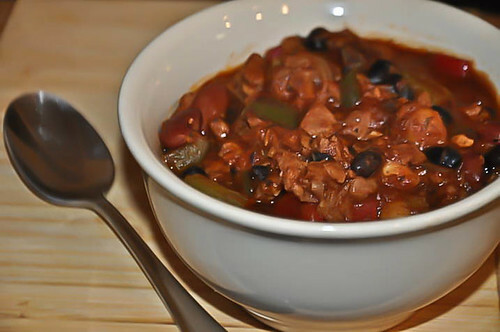 if it's one thing a veg*n loves is a good chili- i'm glad you were able to create one that you love! 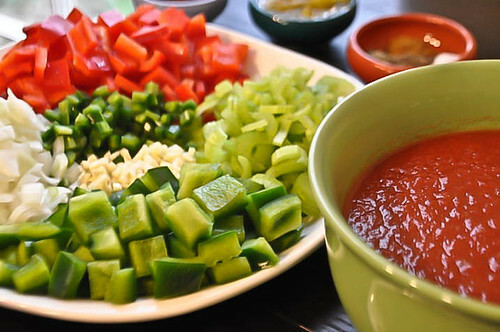 Mmm, this recipe reminds me of a vegetarian chile a friend of mine used to make... better than many meat-filled chiles, for sure! 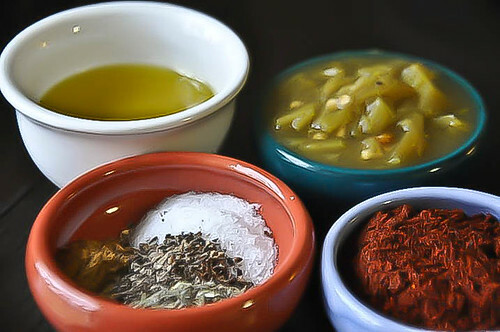 that is an amazing journey and a wonderful and hearty chili.. i love the guac with it! Thanks so much everyone, this past year has def. been quite the whirlwind of experiences! But I wouldn't change it for the world. This chili is addicting, I could easily make it every week, and I'm pretty sure I already do make the guac atleast once a week, I'm sure my roommate is sick of me trying to offer her it constantly! Sadly the MorningStar crumbles aren't Vegan. But there are other crumbles that can be used instead of those. I too love a good Vegan chili and look forward to trying this. Congrats on the weight loss and lifestyle change of going Veg! You are absolutely right- thanks for the Catch! Love the idea of Lentils! I feel the fewer processed foods the better. Let us know if you try it out with lentils and how it goes! I LOVE chili! I will most definitely try this one! You are so welcome! I'm so pleased I found your blog!